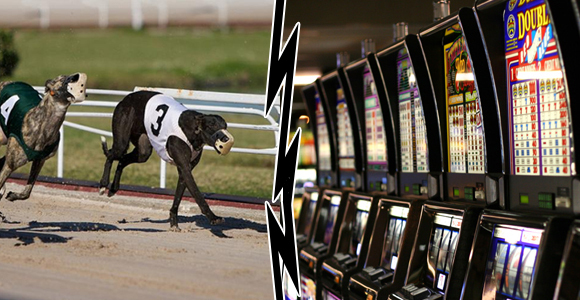 A Senate proposal, where they would allow racetracks to be able to drop greyhound racing, while still continue to operate their slot machines; or even install more. This is a giant step toward removing the exclusive gambling rights the Indian tribes have. The main reason for this push is that the Seminole Tribe rights to banked card games is about to expire, although they are trying to get a one year extension in order to continue negotiating on this point. Even if the racetracks didn’t have any more live dog and horse races, they would still be able to run their slots and card games. Sen. Oscar Braynon was the person that pushed for this to happen, which surprised many lobbyists and gambling operators. This bill would apply to racetracks in the Broward and Miami-Dade counties. Braynon, D-Miami Gardens, said “This is what’s good for the goose is good for the gander. … If we’re doing it for one, we should do it for all,”. This amendment passed with a 7-5 vote, and will probably continue to spread to other states. This will certainly create tension not only with the Seminole Tribe, but other Indian casinos.